All lottery winners in the US face a choice of receiving the prize as a lump sum or in annual payments and financial advisers say that picking which is extremely complicated. However, many find the idea of receiving a huge cheque just too hard to resist. 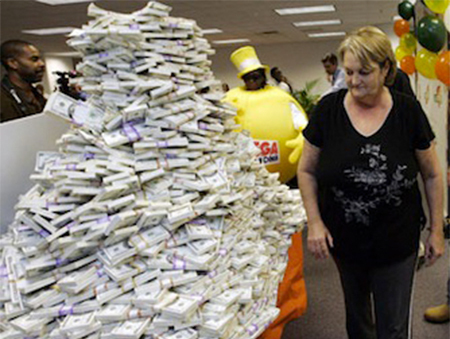 Since December 2009 the Florida lottery has paid out 148 jackpots to Lotto, Powerball and Mega Money winners and all but five of them chose the lump sum. A Kentucky consultant who specialises in advising lottery winners, Don McNay, said that it is the same all over the country, “Ninety-eight percent of Powerball and Mega Millions winners take the lump sum.